Give someone in the heat a bottled water! It’s summer, and it’s hot. 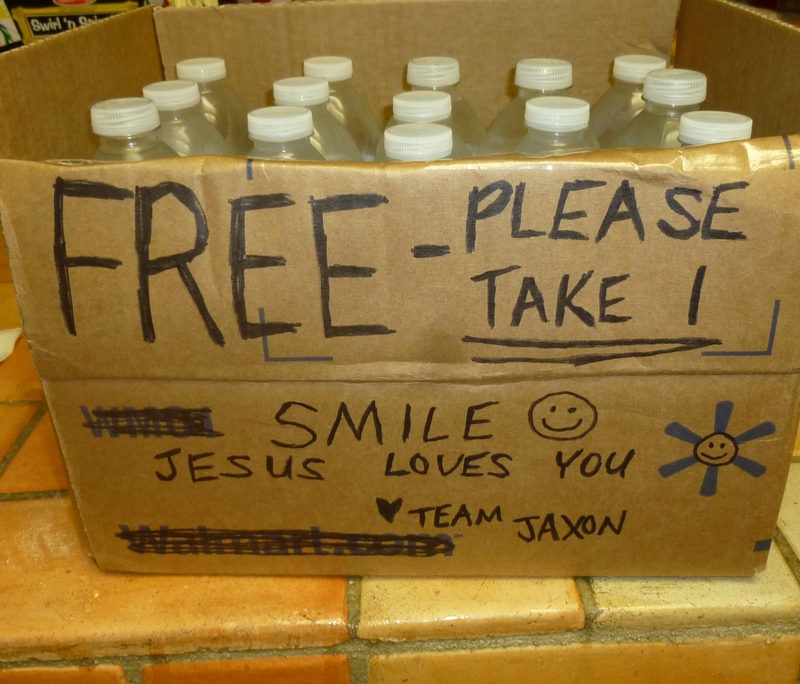 Earlier in the month I was running in my neighborhood, and a guy came out of his house to offer me a bottled water. It definitely brought a smile to my face! Today we chose to leave some water at a bus stop for people to cool off from the heat while waiting for their ride. Find someone exercising, walking to work, etc and help quench their thirst!! !